Sunday morning I awoke to the train rolling through the small town of Dolton just a half mile south of the farm with persistent warning blasts from its horn. It was 4: 30 am and I drifted out of a dream and into the living room to peer into the darkness in search of understanding. The engineer kept blasting the horn, again and again as if the cows had gotten out and wandered onto the tracks. But it was not cows he was worried about, it was fog, a thick, wet fog that clung to the earth and shrouded vision in its grasp. A few hours later and after a bit more sleep, I worked my way into my morning routine. Start the coffee to brewing. Drink a class of water. Make a half of a peanut butter and jelly sandwich for first breakfast. Grab my satchel with my books and journal and head to the Adirondack chair in the flower garden. As I stumbled out the back door, coffee in hand, I was met by the soaking blanket of fog that had earlier slowed the train. 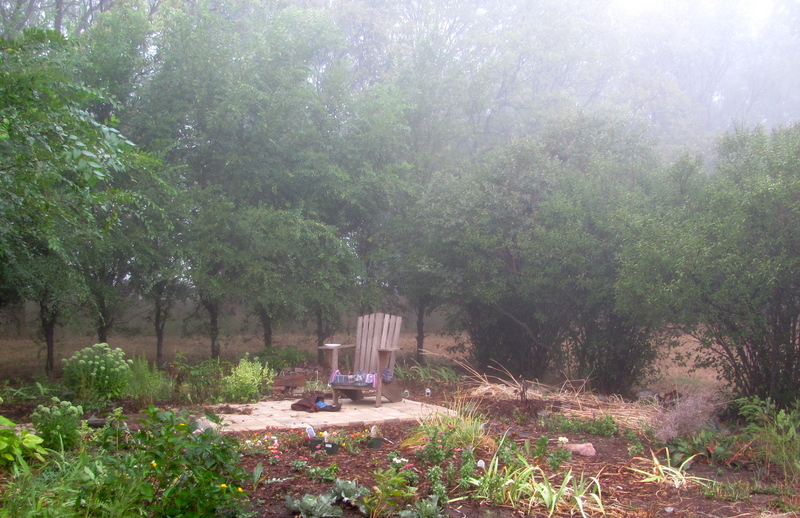 I was glad I’d thought to bring a towel for the chair was soaked with beads of fog formed moisture. I settled into the morning, pulled my book and journal from my bag and set back to take in the view with a sip of hot coffee. I stared into the cloud of white around me, discerning naught but the outline of the machine shed on the far side of the yard. It sat a ghostly apparition in the distance beyond which nothing could be seen. The land was hung in white darkness. Life has seemed shrouded in fog as of late. Many decisions yet to be made remain unclear, remain unanswered. I see shapes of what the future might hold, but nothing is clear. Our future is a shadowy outline yet to be defined completely. 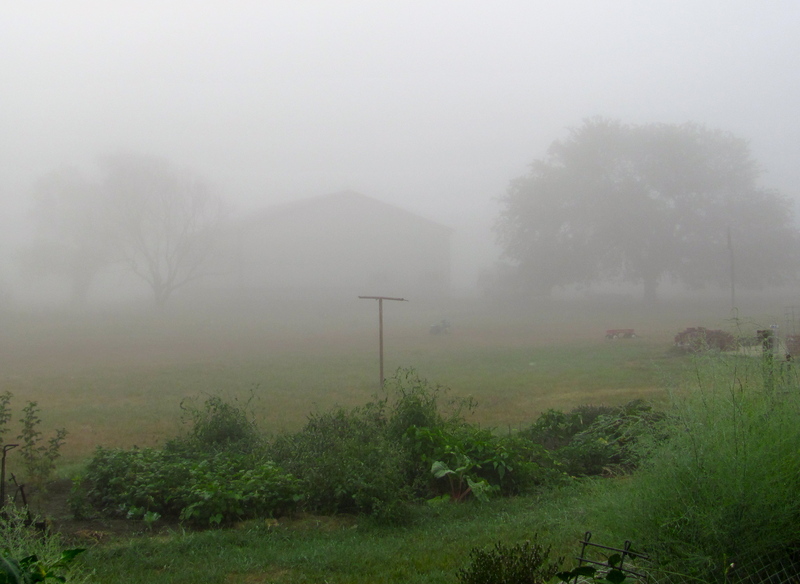 The farm wrapped in fog. The fog of life leaves me at times worrying if I’ll find my way. I can move forward, one gingerly step at a time, always checking to see if I’ll recognize landmarks that will lead me further, or I can wait. I can sit and wait and be still until the fog lifts because, fog always lifts. One gift of the waiting is the seeing of new things, things unseen when moving quickly through life. 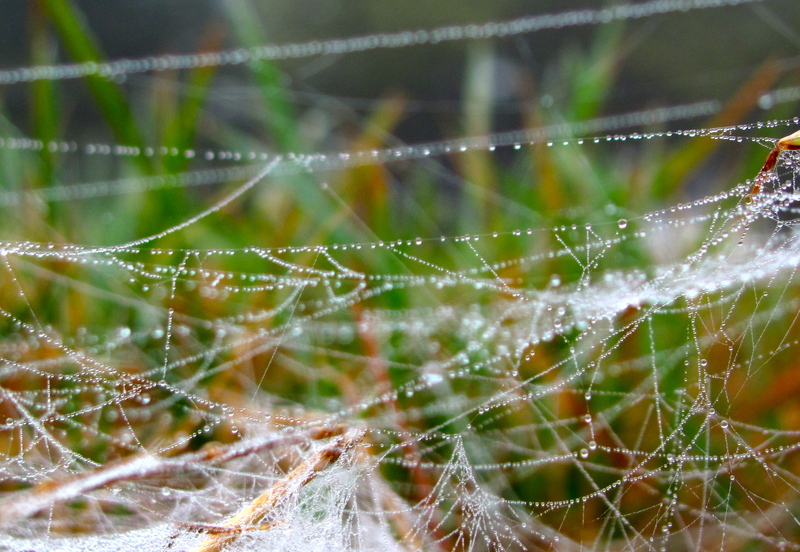 The yard Sunday morning was pockmarked with white spider webs coated in a sheen of fog induced dew. They were there the day before and perhaps I’d crushed more than a few traipsing back and forth across the burned up lawn, but I’d never noticed them. The fog, both by stopping me in my tracks and by accentuating their presence, unveiled them. 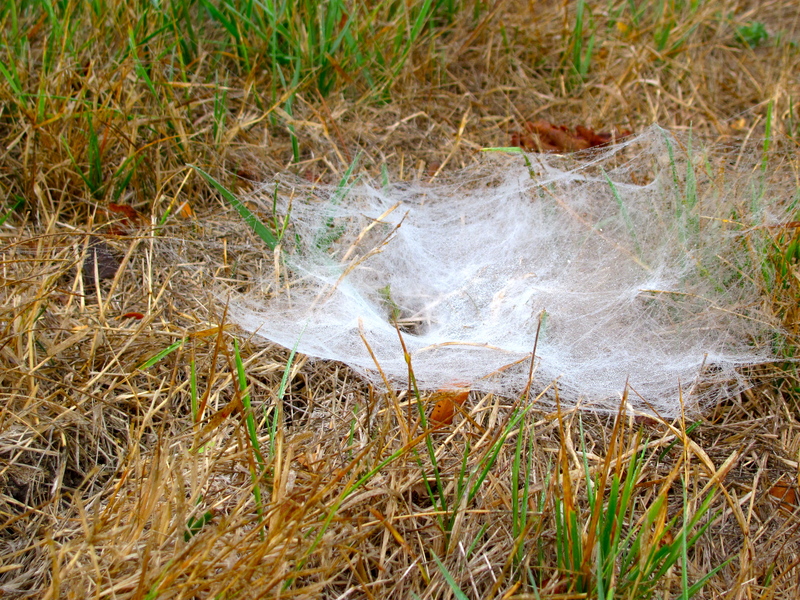 One of many such spider webs. Sometimes in the fogs of life we must set out as best we can and work our way toward an ethereal destination that only becomes clear as we move forward. At other times, we need only to rest in the cloak of darkness, looking and listening for the beauty that can only be found in the waiting. And sometimes it seems we do a bit of both. That is where I find myself now. How about you? 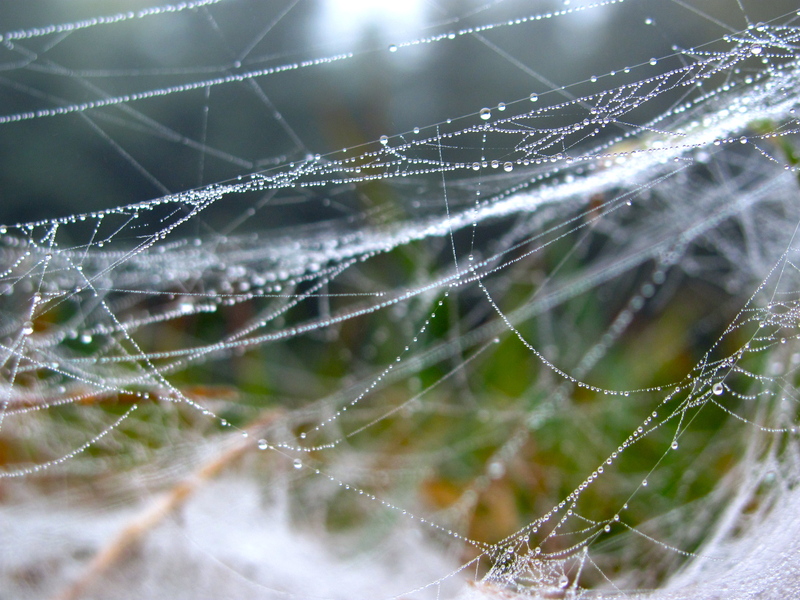 What has life surprised you with when you’ve set out into the fog or when you have waited for the fog to lift?